People are becoming less receptive to traditional advertising, so smart brands KNOW that they need a NEW way to capture their attention…. 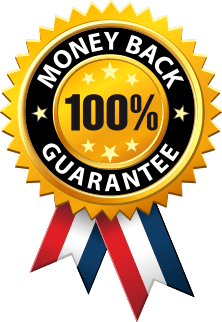 We are at a very critical time in Internet Marketing where sales from normal, average advertising strategies are going DOWN like a lead balloon. Visual and fast, quirky content is now what tends to appeal to the audience’s (or our) emotions, which, in the wake of the information and connective generation, we are becoming more in tune with. This ‘meme’ style advertising is now evoking a range of feelings that increase the likelihood of success against old Marketing jargon and spiels. People are too smart now to listen to your old chatty ads with happy families and static boring imagery on them. They want your pitch fast and they want it summed up in a way that pleases them, not puts them to sleep or irritates them. I’m just saying – it’s not working anymore. The figures are showing so. You see; the impulse of looking at or even sharing a GIF is instant, which is precious at a time where attention is harder than ever to get and maintain. People don’t have time to share stuff unless it’s share-worthy. Nowadays, people can’t be bothered reading. I’m an avid reader, so this idea to me is alien… but I’m telling you, that what’s happening today. People don’t want static letters and images anymore, they want some action and some speed or they get frustrated. You see, we live in a world of media, of next generation animation and fast paced living – a thousand words used to be summed up in a drawing, art work or picture … now it’s being summed up in a moving picture. That’s right – welcome to the Internet Age of communication. People are not writing to each other anymore (like they used to even a few short years ago), or posting long scripts and opinions… they are GRABBING people’s attention or conveying how they feel with short, funny, poignant or hard hitting video clips called GIFS. Right now, it’s all about sights and sounds… that’s the next big thing…what they can convey to you with audio recordings… or animations. 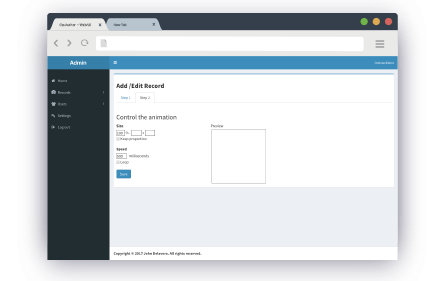 Hence, the increase in video based squeeze pages. The human mind has evolved. We are all, whether you know it or not, getting FASTER, quicker, taking in more information and boring more easily. In a world of convenience, where people want you to get to the point so they can carry on with their busy day, more and more people are finding new and more modern ways to interact and share in much more creative and entertaining ways. 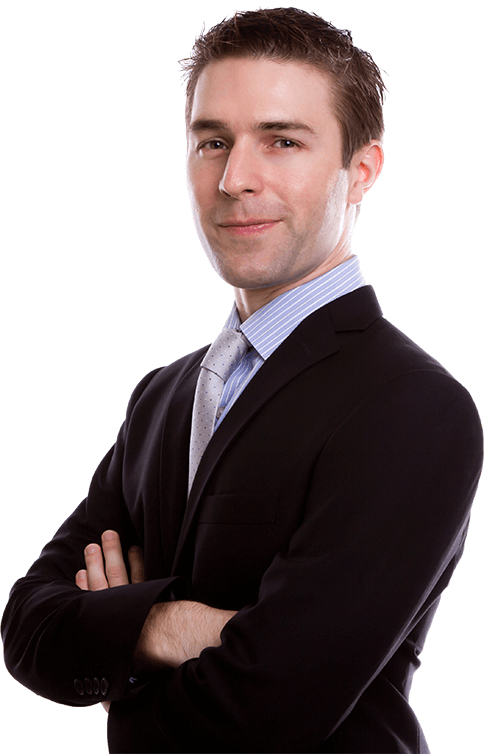 If you are a current Internet Marketer, I won’t have to define a GIF for you … you’ll just know because it is all around you in both personal and business terms. 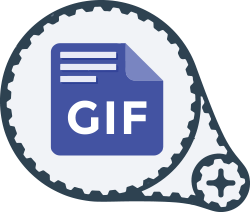 GIFs are image files that are compressed to reduce transfer time. 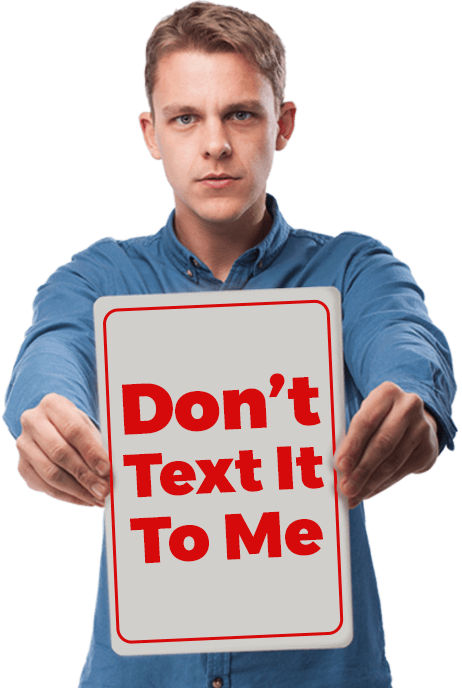 This makes it easy to send pictures and ready-made (or self-created) memes to others via social media without waiting a million years. In essence, that’s the usual benefits. 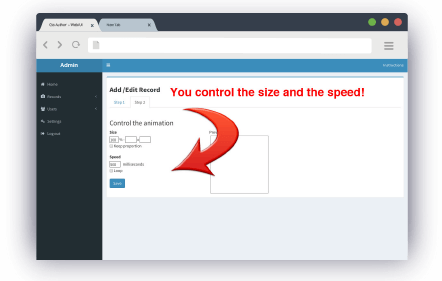 Smaller file size means no time wasting and no ‘failed to send’ messages or ‘file too big’. An animated GIF (Graphics Interchange Format) on the other hand is even funkier. It is a graphic image on a Web page that moves - for example, a twirling icon or a banner with a hand that waves, a guy that body pops (on a loop) or letters that magically get larger. Below are some examples of generic GIFS that have been sent to me via social media sites (including Facebook groups and Whatsapp groups too!) and across webpages, popups, blog content and advertising for businesses. I know you’ve been sent them (or witnessed them) increasingly lately… I’m inundated with them on Facebook Messenger and as popup links to products online… and I have to say, I’m starting to love them. They’re sort of soft and effortless, and they do make me look and click. It really is an awesome and attention grabbing marketing tool too, because it conveys reactions perfectly without saying much. Plus, they can be pretty hilarious, and you know what … funny relaxes people, and relaxed people buy more. That’s why businesses who wish to stay current are using their own branded and targeted GIF messages to attract and draw in customers. Get to the point right away – no time for them to click away. They’re already interested. 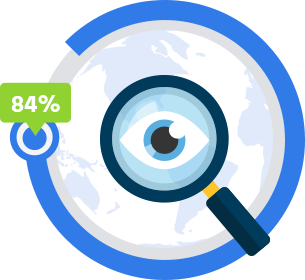 1 in 2 marketers use animated gifs in their email campaigns, according to the Experian Email Market Study. 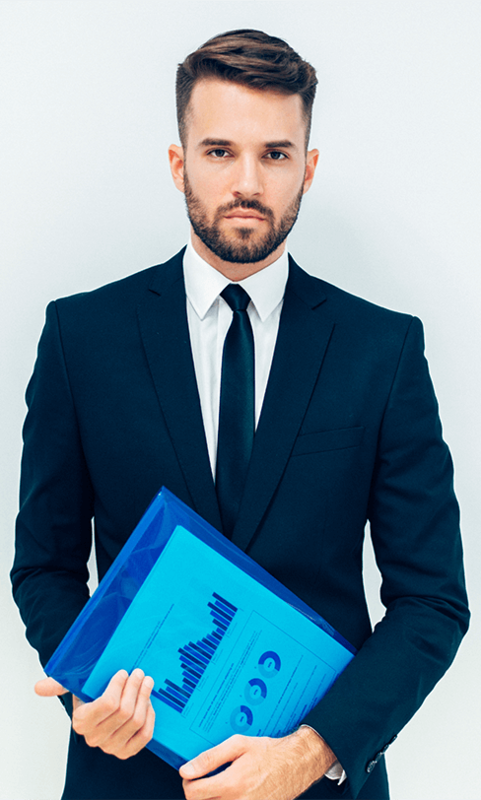 (Sales Force, https://www.salesforce.com). GIFs are nothing new, but their use is more popular than ever. 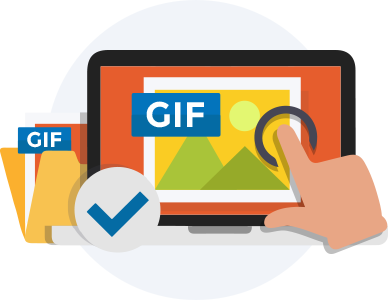 The fact that GIFS are still relevant after 29 years since their initial creation proves its value in web terms. It means it is not a fad. It is a proper strategy. 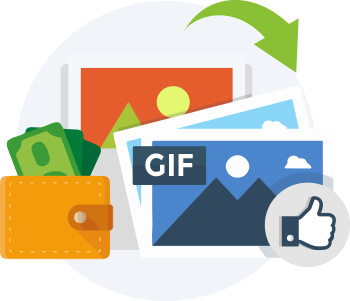 GIFs are easy to consume and this makes them very attractive to any brand trying to meet the audience’s content needs at any given time. It has been shown that people only remember 20% of the text they read without visuals, which reminds us once again why visual power is more important than ever. It is therefore the perfect call-to-action. 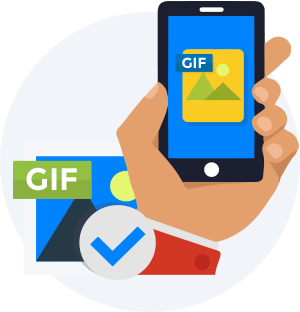 Brands use GIFS now in their strategy because it is pure logic. It is effective, it is working and it is more appealing than images, but also cheaper (and easier) to be created, comparing to videos. 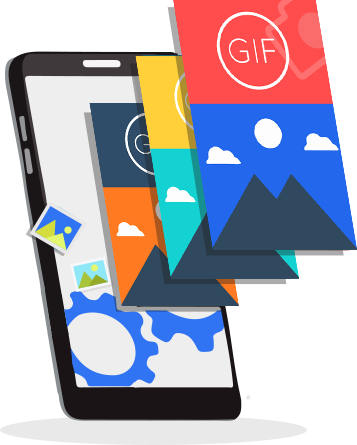 As GIFs only last a few seconds, their file size is significantly smaller and the process of uploading them is faster comparing to videos, while the auto loop increases the effectiveness of a brand’s message. What’s more, their integration on the biggest social networks encouraged their revival and the increased exposure they’ve recently enjoyed. Although people behave differently on every social network, GIFs are still popular in all of them. Storytelling is a great addition to any brand strategy, even Disney are using it! It makes promotion much more simple and interesting, engaging the audience and allowing them to interact and share with you. It’s easy enough so even your grandmother can use it! 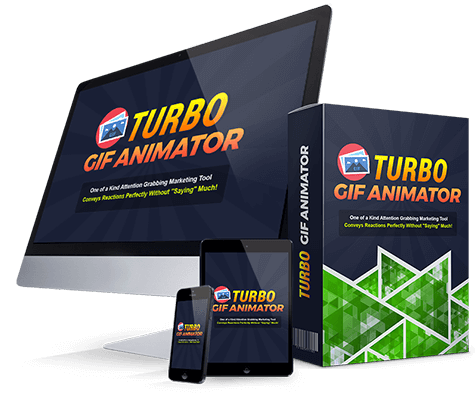 It’s pretty straight-forward – with Turbo Gif Animator you can load a YouTube, play, pause and get a screenshot, then pause it and take screen grabs at the intervals of your choosing. 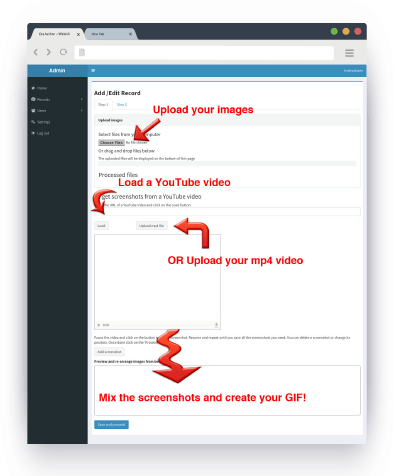 You can then create an animated gif of those screenshots, so you have full control over subject matter. It also allows you to upload your own series of images to achieve the same thing rather than just using a YouTube video. If you don’t like this product as much as I do, then I don’t want your money. I pride myself on creating services that add value and shorten steps essentially I’m based on being ‘Turbo’ that is – accelerating your business and sales. This service was created to do just that. If you play with it for a month and you still can’t see what I see, then please, just take your money back. I don’t need or want it unless you are sharing my vision today. I want this to work for you as it has done for me. All I ask in return is that you try it before you decide.